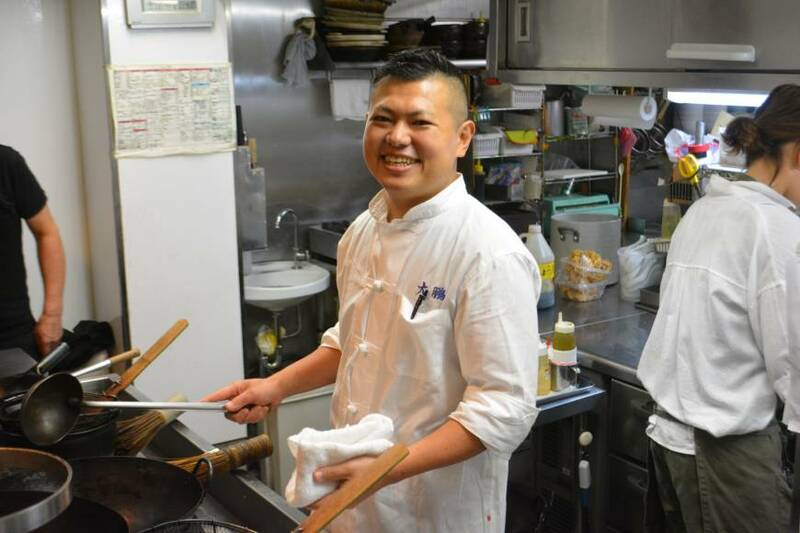 When chef Kouki Watanabe took over the reins at Taihou, the Chinese restaurant his father started in 1974, it wasn’t long before there were sparks flying in the kitchen. Watanabe, 37, like most sons and daughters, had his own ideas, some formed, some only half-cooked. “There definitely was tension, and we used to argue a lot in the beginning, especially as we were spending so much time together,” Watanabe said at a recent interview in the restaurant. 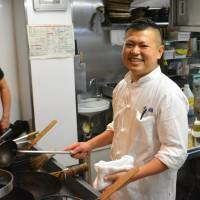 The pair still work closely together, with Toshihiro, 69, the first up and into the restaurant every day. And in many respects, the restaurant that Toshihiro founded more than 40 years ago still exists: Taihou remains a cozy, unfussy, family-run restaurant rooted in Kyoto’s Nijo district. But that modesty can’t hide what is some of the best Sichuan food you’ll find in the city. While Watanabe grew up around woks, bamboo steamers and doubanjiang, a potent bean paste that is as essential to Sichuan cooking as miso is to Japanese cooking, he didn’t feel pressured to follow in his father’s footsteps. He did so, he says, from his own volition. After graduating from high school, Watanabe studied cooking at the Tsuji Culinary Institute in Osaka, and from there he worked at Louran, a Chinese restaurant in Shozan Resort Kyoto, a luxury getaway in the north of the city, before winding his way back to Taihou. Until a few years ago, Watanabe and the Taihou staff would regularly decamp to Sichuan province, in the southwest of China, for reconnaissance trips that consisted of meeting with local chefs, eating, drinking and soaking up the region’s culture. From a customer’s point of view, these trips have proved fruitful. There’s a lot, an awful lot to recommend at Taihou, but you can’t go wrong with selecting from any of the above. The yodaretori, a small serving of bite-sized pieces of poached chicken served in chili oil, peanuts and a small ocean of spices punches well above its size. For the māpō dōfu, Watanabe sources his beef from Omi, a famed cattle-producing region in nearby Shiga Prefecture. The doubanjiang, which finds its way into so many dishes, is made by Watanabe’s family and stored in large vats where it’s left to ferment in a building abutting the restaurant. However, the menu at Taihou is less dogmatic than you might expect: On one occasion I was served braised soft-shell turtle from Lake Biwa and a sweet fish lathered in soy sauce, brown sugar, black vinegar and rice vinegar. And, on another, we dined on razor clams served in a spiced broth that was electrifying and unforgettable. Another unexpected turn Watanabe took a few years ago was adding natural wine to the menu. 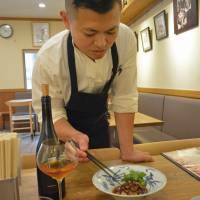 At first, he wasn’t sure about the maneuver — it was regular patrons who put him onto the idea — but four years ago he decided to go all in, and together with Ethelvine, a natural wine shop in Kyoto, he chose a concise but eclectic wine list. Inadvertently, it’s also brought Watanabe recognition well beyond Kyoto. In the past few years, he’s been a regular visitor to Europe where he’s been invited to cook at wine fairs, festivals and pop-up collaborations. These invites came via natural wine producers who were visiting Japan, and came to eat at Taihou. 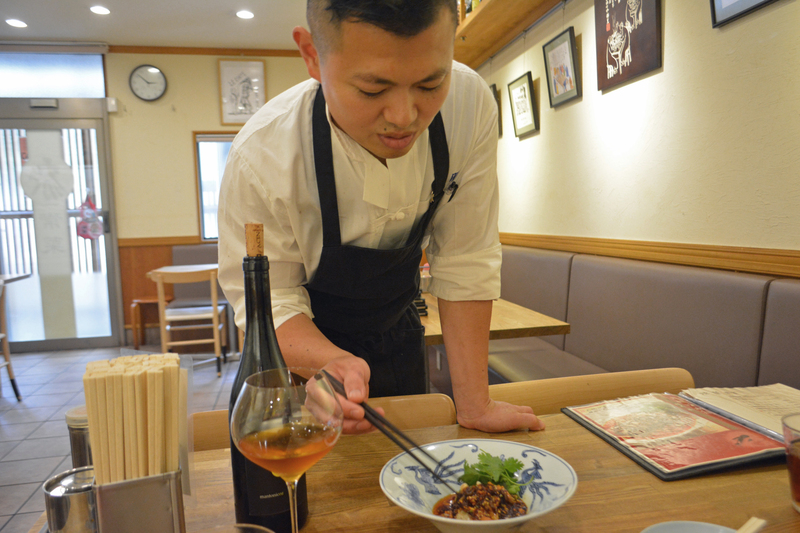 The overseas jaunts are something Watanabe relishes not only because he confounds expectations — a Japanese chef making Sichuan food — but also because it gives him a unique chance to work alongside other chefs and experience other food cultures. In July, he collaborated with the Solivellas sisters, Teresa and Maria, for a special event at their restaurant Ca Na Toneta in Mallorca.